Less than 24 hours after defeating Adrien Broner, Manny Pacquiao's Los Angeles home was reportedly burglarized. TMZ reports that law enforcement was notified of the crime by someone on Pacquiao's team on Sunday (January 20th) with the home being ransacked and signs of forced entry reported. At the time of the burglary, Pacquiao was still in Las Vegas following his victory by unanimous decision over Broner on Saturday (January 19th). Yahoo reports that a safe in Pacquiao's home is reportedly missing thousands in cash and jewelry. Suspects are yet to be determined. 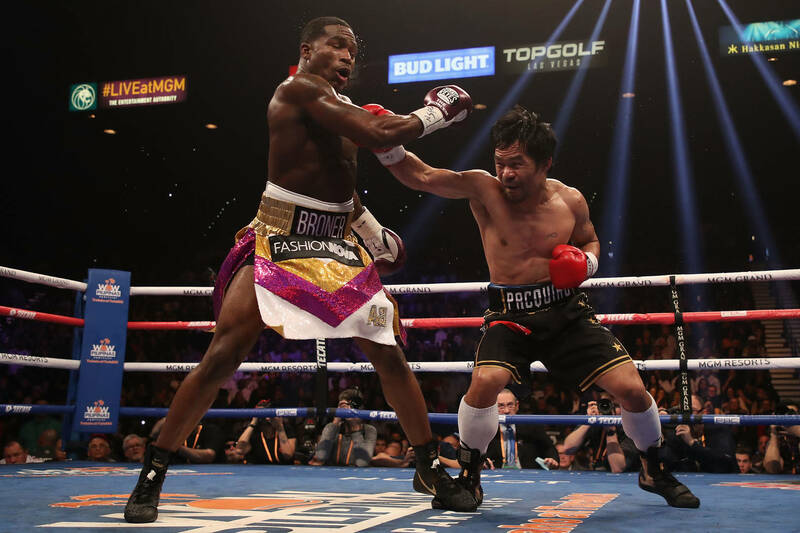 On the flip side of things, Pacman's victory over Broner arrived as a stellar showing for the 40-year -old, easily giving headway to a rematch between the veteran boxer and his storied rival Floyd Mayweather. According to new reports, however, some in Pacquiao's camp fear that he may have sustained a "career-ending" eye injury after he complained of pain and vision loss in his left eye on Sunday morning. The fighter is reportedly scheduled to fly back home to the Philippines to see an eye specialist. According to New York Daily News' Wallace Matthews, some in his camp believe it to be a detached retina while others claim the injury is nothing more than a minor corneal scratch. Sports News Entertainment Lifestyle Manny Pacquiao Adrien Broner boxing fight PPV burglary robbery phillipines tmz los anagleles floyd mayweather jr.